It’s important to communicate with all other riders, pedestrians and road users while on the bike. 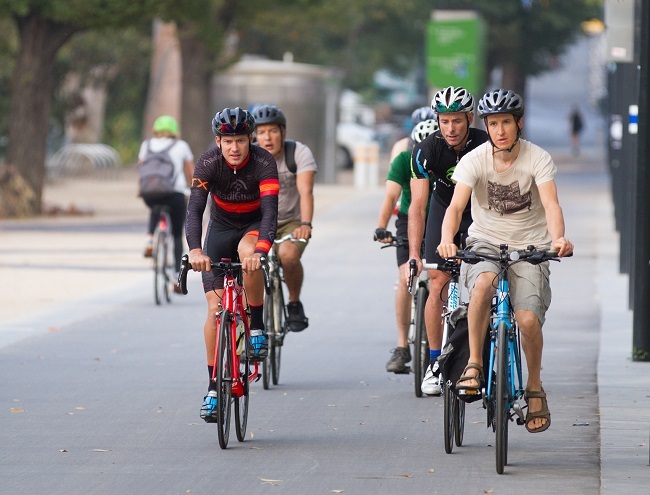 Roads and bike paths can be busy places, with different users travelling at different speeds and in many directions. To help make sure they are safe and harmonious places it is important to communicate, especially when overtaking, making a turn or stopping. A simple hand gesture or ring of your bell is all it takes to let others around you know what you’re doing. In Australia you must have a bell on your bicycle – it is the law. It is also good to use, especially to warn others that you are approaching. Sometimes on a shared path you might find yourself coming up behind someone walking their dog, or a pair riding two abreast. A ring of your bell will let them know you are behind them and they will be able to move to the side to let you pass. It’s really helpful to use your bell to let other riders on the road know that you are overtaking them. That way they don’t get a fright or swerve into your path. 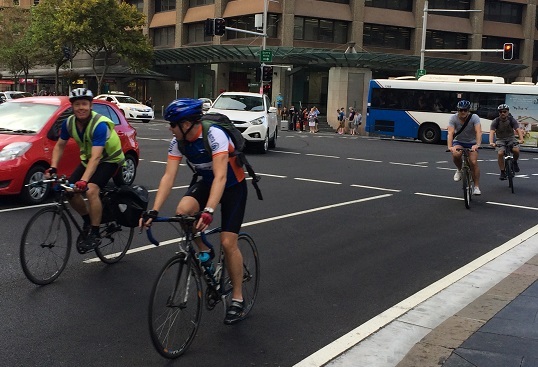 Bike riders often like to let someone know they are overtaking by clearly saying ‘passing’. This too can be a good way to make your intentions clear. Almost every time you ride a bike you will need to make a turn, and sometimes you will need to stop while riding. Before you do it is important to tell those behind you that will be making a change. The best way to do this is to use hand signals. Before slowing to stop you should hold out your hand with your fingers pointing down and open palm facing people behind you. Before turning you should extend your arm out to point in the direction you will turn – if turning left, hold out your left arm at a 90 degree angle, if turning right, do the same with your right arm. Bicycle Network turning tip: when turning right at an intersection it is best to perform a hook turn, rather than merge across a lane. It is perfectly legal and encouraged.